UV/Aqueous Coating & Curing System For Cut-Sheets. With the Kompac Kwik Finish 26 you can create outstanding visuals with raised 3D spot coating effects and provide high quality finishes using flood UV coatings. The Kwik Finish 26 is a high-end, production-level UV/aqueous coater built to meet the demand of medium/large digital and offset printers. With the Kompac Kwik Finish 26 you can create outstanding visuals with raised 3D spot coating effects and provide high quality finishes using flood UV coatings. The Kwik Finish 26 is a high-end, production-level UV/aqueous coater built to meet the demand of medium/large digital and offset printers. This coating and curing system provides a quick and easy way to apply UV, aqueous, primer and specialty coatings to a wide variety of substrates. From very thin paper to plastics, card stock & lenticular; whether digital or offset output, each job will have the visual appeal, lasting durability, protection and rub resistant finish that your customers expect. 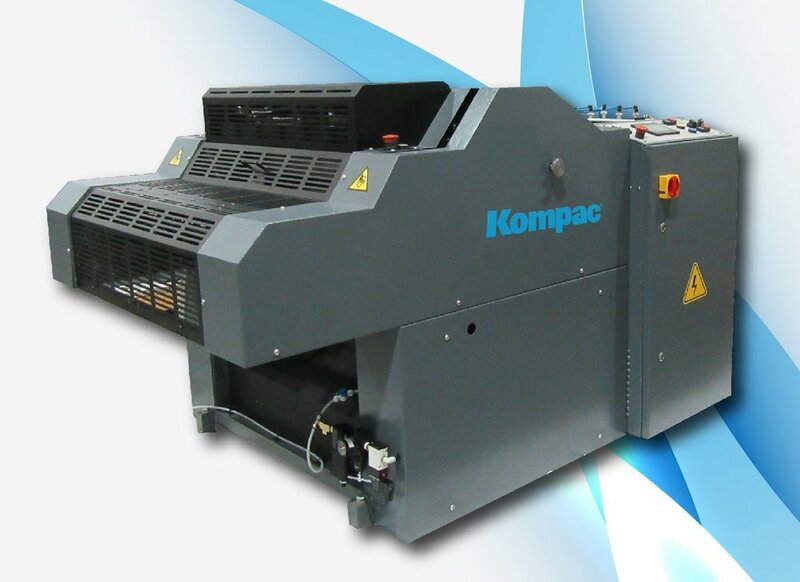 Flood or spot coat, the Kompac Kwik Finish is the most flexible, cost effective coating system on the market today for high volume sheet printing!